A house fire is a devastating experience. When you’re trying to cope with this horrible loss and property damage, the last thing you think about is insurance companies and the paperwork involved with filing insurance claims. 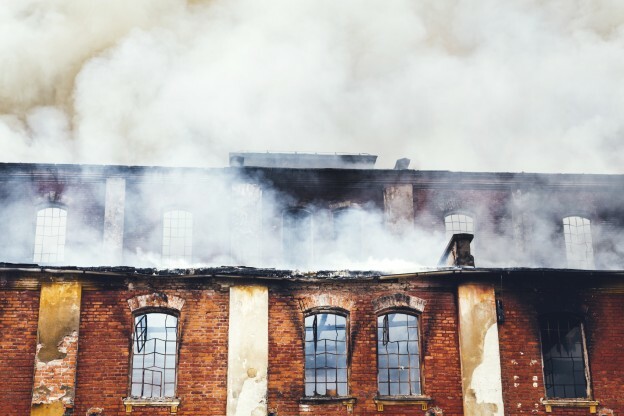 Getting adequate compensation for your damaged property after a fire isn’t always straightforward. That said, there are some things you can do to help the process go a little more smoothly. One of the key things to keep in mind is that there are two different types of damage that can occur – namely Smoke Damage and Fire Damage. Each should be approached a little differently because they are not treated the same by almost every insurance policy. If the fire is contained and the property is not a total loss, it’s not uncommon for smoke damage to be more widespread than fire damage. For example, if a kitchen fire is quickly extinguished and damage is limited to the area around the stove, smoke damage can still spread into the surrounding rooms. Possibly even the whole house. To understand why, it helps to understand how smoke behaves. Smoke is made up of carbon dioxide, carbon monoxide, ash, and chemicals that vary depending on what was burned. Because smoke travels easily and likes to stick to things, smoke damage can be very extensive and widespread. One reason smoke can cause damage that extends far beyond the immediate area of the fire is that smoke travels very easily. Usually, there will be a lot of it directly above and surrounding the items that burned in the fire. However, you’ll also find additional, and often significant damage, outside and even in rooms down the hallway and on different floors of your home. Smoke is sensitive to air currents and can easily travel down hallways, under doors, and through tiny cracks that you may not have even known about. When it comes time to assess the damages, it’s important to document absolutely everything to the best of your ability. In order to do this, you’ll need to know all the places where smoke damage can hide. Temperature plays a huge part in why smoke is able to get into so many surprising places. First of all, heat rises. The hot, smoky air is pushed around by heavier cold air and is naturally drawn to cold areas. Secondly, heated air is more volatile. The molecules expand, move faster and are a lot more excited. Because of these factors, smoke damage will often occur behind, under, and inside of things that might surprise you. So, what exactly does that mean for you? Don’t be surprised to find smoke damage in some unexpected places. Make sure to check the insides of closets and drawers, even if they were closed during the fire. 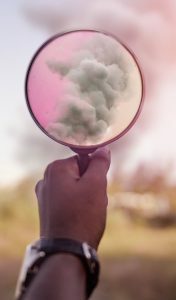 Smoke is able creep into the small cracks around doorways and get into your dresser drawers, potentially ruining your clothes, towels, and linen. Another place to check is inside of window dressings, which are cooler than the rest of the room. Look both behind and inside the folds of curtains and in between the slats of blinds. These are common places for smoke damage to occur. The chemistry of smoke particles plays a part in where you’ll find smoke damage, too. Smoke particles are positively charged. This makes metals and synthetic materials particularly attractive to them. Don’t be surprised if your couch, rugs, carpets, and any other flat surfaces are covered in soot. Another place to check is in the duct work, especially if your heater or air conditioner was running at the time of the fire. Smoke easily makes its way into the ducts and from there, throughout the rest of your home. It might seem like smoke gets everywhere, and that’s because it does! That’s one of several reasons why filing an insurance claim for smoke damage can get a little tricky.